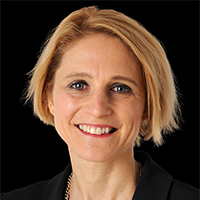 Professor Corinna Hawkes is Director of the Centre for Food Policy. She joined the Centre in January 2016 bringing with her a diversity of international experience at the interface between policy and research. Her work aims to support the design and delivery of policies and actions that effectively and equitably improve the quality of diets locally, nationally and internationally. A regular advisor to governments, international agencies and NGOs, she has worked with international agencies, governments, NGOs, think tanks and universities. Her work is concerned with all forms of diet-related ill-health, including obesity, malnutrition and diet-related non-communicable diseases, with a current focus on obesity prevention. In 2018 Corinna was appointed by the Mayor of London to serve as Vice Chair of the London Child Obesity Taskforce, which has the ambitious goal of reducing obesity among London's children. She also sits on the London Food Board. Corinna serves on a variety of international initiatives. She is Co-Chair of the Independent Expert Group of the Global Nutrition Report, an international report tracking progress in malnutrition in all its forms across the globe. Between 2016-18 she was Co-Chair of the World Economic Forum's Global Future Council on Agriculture and Food Security. She sits on the Lancet Commission on Obesity, the EAT-Lancet Commission on Healthy Diets from Sustainable Food Systems, acts as an advisor to the Bloomberg Philanthropies Obesity Program and is on the Scientific Advisory Council of Healthy Food America. In 2008 she chaired the WHO Expert Group on Marketing Food and Non-alcoholic Beverages to Children and in 2010 was co-chair of the Pan American Health Organizations Expert Group on Food Marketing to children. In the UK she is a member of Public Health England's Obesity , Reduction and Reformulation Reference Group, the Scientific Advisory Group of the Global Food Security programme of the Biotechnology and Biological Sciences Research Council, and an advisor to The Food Foundation. Corinna takes an inter-disciplinary approach to her work, and has published widely on the role of food policy on diets and nutrition, including on the design of policies for obesity prevention, food systems approaches to improving diets, the link between diets and the policies and processes of globalization, trade and agriculture, the global regulatory environment around diets (e.g. nutrition labelling and policies on food marketing to children) and city-level policy change. Her thinking on the type of evidence needed to inform obesity prevention was recently published by The Health Foundation in a collected edition of essays "A recipe for action: using wider evidence for a healthier UK" (2018). Corinna has a PhD in Geography from Kings College London (1998) and a BSc in Geography from the University of Bristol (1993). The ultimate goal of my work is to advance change: to improve nutrition, public health and well-being through policies that improve the quality of diets worldwide. I am concerned with how to design, develop and deliver effective food policies to achieve that goal. With a global scope, I work with partners internationally, in the UK, and in London to identify effective and efficient solutions to unhealthy diets throughout the food system with an interdisciplinary approach. I am currently part of five research projects. •	Leading the policy workstream of the Wellcome Trust-funded Sustainable and Healthy Food Systems project (led by LSHTM). •	Principle Investigator on another Wellcome Trust-funded project on integrated food policy, which we are leading at the Centre for Food Policy. •	I co-chair the Global Nutrition Report, in which I co-lead the process of doing the research and writing that makes up the content of the report. •	Leading a piece of work on double duty actions to address malnutrition in all its forms for the Lancet. 1) Monitoring and analysing what governments around the world are doing to develop and deliver policies to improve diets. The aim of this work is to learn lessons for more effective policy development and delivery and to and inspire action. I wrote early reports for the World Health Organization on what governments were doing on food marketing to children and nutrition labelling around the world. I established the NOURISHING Framework to track progress on how well governments are doing to implement policies designed to improve diets. I am interested in the policy processes that led to their development and implementation, what effects they have had, and how these policies can be designed to be more effective. In 2015 my paper “Smart Food Policies for Obesity” aimed to identify how these types of policies can be more effectively designed. My most recent work in this involved identifying what city-level governments are doing to advance diets through urban food policies with the publication of the report “What Makes Urban Food Policy Happen” (2017) in collaboration with the International Panel of Experts on Sustainable Food Systems. This was first report to highlight the obesity program in Amsterdam. 2) Identifying how policies could more effectively align how food systems function with better diets. The aim of this work has been to understand how food systems work in order to understand how they can be levered for change. Much of my earlier work looked at the globalization of the food system, including trade. It assessed how policies of globalisation were linked with the “nutrition transition” in countries around the world. I also worked extensively on the link between agriculture, nutrition and health, contributing the early work that formed the basis of what is now the CGIAR A4NH programme. I then turned to developing methodologies designed to identify solutions to poor diets in food systems, with publications such as “Identifying Innovative Interventions to Promote Healthy Eating Using Consumption-Oriented Food Supply Chain Analysis (2009) and” Value Chains for Nutrition” (2011) with the International Food Policy Research Institute (IFPRI). In 2016 I co-authored “Food Systems and Diets: Facing the Challenges of the 21st century” published by the Global Panel on Food Systems for Nutrition and Health which established a new conceptual framework on the link between food systems and diets and a diagnostic tool for identifying solutions. I am now working to use these methodologies to identify areas of (in)coherence between food systems and the policies that effect them with policies designed to improve diets and nutrition. I have recently completed my role as an advisor on a project led by the Inter-American Heart Association Argentina (FICA) on policy coherence for fruit and vegetable consumption. My future work on identifying food systems solutions to poor diet in the future is being taken forward through leading the Policy Research Group of the Wellcome Trust-funded Sustainable and Healthy Food Systems (SHEFS) project, which is led by the London School of Hygiene and Tropical Medicine in collaboration with the University of Kawla-Zulu Natal. The work aims to identify policies that can more effectively improve diets and environmental sustainability and will use innovative food systems methodologies to do so in active engagement with local partners, communities and the policy community. Building on past work, I also have a strong interest in how food retailing as a key part of the food system can play a more important role in advancing healthier diets. 3) Exploring how food policies could take a more integrated approach to addressing diet-related ill health. The aim of this work is to assess how policies can deliver more efficiently and effectively by addressing multiple goals. For example, in 2015 I became co-chair of the Global Nutrition Report, a report that tracks progress to address malnutrition in all its forms. In the three reports I have co-led since then (2015, 2016, 2017), we have worked to bring together these different forms of malnutrition into the report, and identify how shared action could benefit both sides of this “double burden” around the world. In 2015 this led to us coining the term “double duty” actions that can help address both undernutrtion and obesity. In 2017 I started working on a piece of research on double duty actions as part of a Lancet Series on the Double Burden of Malnutrition. Our Centre-wide work on integrated food policy is also an important part of this agenda. As Director of the Centre for Food Policy I also oversee further our interdisciplinary research that advances our mission of a more integrated and inclusive approach to food policy. Hawkes, C., Blouin, C., Henson, S., Drager, N. and Dubé, L. (2009). Trade, Food, Diet and Health Perspectives and Policy Options. John Wiley & Sons. ISBN 978-1-4443-1540-0. Gelli, A., Hawkes, C. and Donovan, J. (2016). Food value chains and nutrition: Exploring the opportunities for improving nutrition. Routledge Handbook of Food and Nutrition Security (pp. 283–298). ISBN 978-1-138-81719-7. Hawkes, C. (2016). Global Efforts to Address Obesity. In Brownell, K.D. and Walsh, B.T. (Eds. ), Eating Disorders and Obesity: a Comprehensive Handbook New York: Guilford Publications. Hawkes, C., Grace, D. and Thow, A.M. (2015). Trade liberalization, food, nutrition and health. In Smith, R., Blouin, C., Mirza, Z., Beyer, P. and Drager, N. (Eds. ), Trade and health: Towards building a national strategy. (pp. 92–116). Geneva: World Health Organization. ISBN 978-92-4-156503-5. Hawkes, C. and Sassi, F. (2015). Improving the quality of nutrition. In McDaid, D., Sassi, F. and Merkur, S. (Eds. ), PROMOTING HEALTH, PREVENTING DISEASE: THE ECONOMIC CASE (pp. 135–168). Maidenhead: Open University Press. ISBN 978-0-335-26226-7. Hawkes, C. (2014). Food marketing: a driver of the modern food system. In Neff, R. (Ed. ), Introduction to the US Food System Public Health, Environment, and Equity (pp. 237–262). New York: John Wiley & Sons. ISBN 978-1-118-06338-5. Hawkes, C. and Ruel, M. (2012). Value chains for nutrition. In Fan, S. and Pandya-Lorch, R. (Eds. ), Reshaping agriculture for nutrition and health Washington DC: International Food Policy Research Institute (IFPRI). ISBN 978-0-89629-673-2. Arimond, M., Hawkes, C., Ruel, M.T., Sifri, Z., Berti, P.R., Leroy, J.L. … Frongillo, E.A. (2010). Agricultural interventions and nutrition: Lessons from the past and new evidence. Combating Micronutrient Deficiencies: Food-based Approaches (pp. 41–75). ISBN 978-1-84593-714-0. Monteiro, C.A., Hawkes, C. and Caballero, B. (2010). The Underweight/Overweight Paradox in Developing Societies: Causes and Policy Implications. Obesity Prevention (pp. 463–469). ISBN 978-0-12-374387-9. Hawkes, C., Chopra, M. and Friel, S. (2009). Globalization, trade, and the nutrition transition. Globalization and Health: Pathways, Evidence and Policy (pp. 235–262). ISBN 978-0-203-88102-6. Hawkes, C. (2009). Government and voluntary policies on nutrition labelling: A global overview. Innovations in Food Labelling (pp. 37–58). ISBN 978-1-84569-676-4. Buse, K., Marten, R., Hawkes, S., Alleyne, G., Baker, P., Baum, F. … Webb, D. (2018). The how: a message for the UN high-level meeting on NCDs. Fanzo, J., Hawkes, C. and Udomkesmalee, E. (2017). NUTRITION, RESEARCH AND THE SDGS: LESSONS GARNERED FROM THE GLOBAL NUTRITION REPORT ON CATALYZING PROGRESS TOWARDS 2030. Swinburn, B.A., Kraak, V.I., Allender, S., Atkins, V.J., Baker, P.I., Bogard, J.R. … Dietz, W.H. (2019). The Global Syndemic of Obesity, Undernutrition, and Climate Change: The Lancet Commission report. The Lancet, 393(10173), pp. 791–846. doi:10.1016/S0140-6736(18)32822-8 . Willett, W., Rockström, J., Loken, B., Springmann, M., Lang, T., Vermeulen, S. … Murray, C.J.L. (2019). Food in the Anthropocene: the EAT–Lancet Commission on healthy diets from sustainable food systems. The Lancet, 393(10170), pp. 447–492. doi:10.1016/S0140-6736(18)31788-4 . Thow, A.M., Jones, A., Hawkes, C., Ali, I. and Labonté, R. (2018). Nutrition labelling is a trade policy issue: lessons from an analysis of specific trade concerns at the World Trade Organization. Health promotion international, 33(4), pp. 561–571. doi:10.1093/heapro/daw109 . Morgan, E.H., Hawkes, C., Dangour, A.D. and Lock, K. (2018). Analyzing food value chains for nutrition goals. Journal of Hunger and Environmental Nutrition pp. 1–19. doi:10.1080/19320248.2018.1434106 . Baker, P., Hawkes, C., Wingrove, K., Demaio, A.R., Parkhurst, J., Thow, A.M. … Walls, H. (2018). What drives political commitment for nutrition? A review and framework synthesis to inform the United Nations Decade of Action on Nutrition. BMJ Global Health, 3(1). doi:10.1136/bmjgh-2017-000485 . Hawkes, C. (2017). Principles behind evaluations of national food and beverage taxes and other regulatory efforts. Obesity Reviews, 18(11), pp. 1374–1375. doi:10.1111/obr.12594 . Hawkes, C., Demaio, A.R. and Branca, F. (2017). Double-duty actions for ending malnutrition within a decade. The Lancet Global Health, 5(8). doi:10.1016/S2214-109X(17)30204-8 . Haddad, L., Hawkes, C., Webb, P., Thomas, S., Beddington, J., Waage, J. … Flynn, D. (2016). A new global research agenda for food. Nature, 540(7631), pp. 30–32. doi:10.1038/540030a . Hawkes, C., Brazil, B.G., Ribiero de Castro, I.R. and Jaime, P.C. (2016). How to engage across sectors: lessons from agriculture and nutrition in the Brazilian School Feeding Program. Revista de saude publica, 50, pp. 47–47. doi:10.1590/S1518-8787.2016050006506 . Kraak, V.I., Vandevijvere, S., Sacks, G., Brinsden, H., Hawkes, C., Barquera, S. … Swinburn, B.A. (2016). Progress achieved in restricting the marketing of high-fat, sugary and salty food and beverage products to children. Bulletin of the World Health Organization, 94(7), pp. 540–548. doi:10.2471/BLT.15.158667 . Kraak, V., Vandevijvere, S., Sacks, G., Brinsden, H., Hawkes, C., Barquera, S. … Swinburn, S. (2016). Restricting the marketing of high-fat, sugary and salty food and beverage products to children: progress achieved by the World Health Organization, Member States and other actors. Bulletin of the World Health Organisation, 94(7), pp. 540–548. Popkin, B.M. and Hawkes, C. (2016). Sweetening of the global diet, particularly beverages: Patterns, trends, and policy responses. The Lancet Diabetes and Endocrinology, 4(2), pp. 174–186. doi:10.1016/S2213-8587(15)00419-2 . Hawkes, C., Haddad, L. and Udomkesmalee, E. (2015). The Global Nutrition Report 2015: what we need to do to advance progress in addressing malnutrition in all its forms. Public health nutrition, 18(17), pp. 3067–3069. doi:10.1017/S1368980015003158 . Anand, S.S., Hawkes, C., De Souza, R.J., Mente, A., Dehghan, M., Nugent, R. … Popkin, B.M. (2015). Food Consumption and its Impact on Cardiovascular Disease: Importance of Solutions Focused on the Globalized Food System A Report from the Workshop Convened by the World Heart Federation. Journal of the American College of Cardiology, 66(14), pp. 1590–1614. doi:10.1016/j.jacc.2015.07.050 . Trieu, K., Neal, B., Hawkes, C., Dunford, E., Campbell, N., Rodriguez-Fernandez, R. … Webster, J. (2015). Salt reduction initiatives around the world-A systematic review of progress towards the global target. PLoS ONE, 10(7). doi:10.1371/journal.pone.0130247 . Hawkes, C. and Popkin, B.M. (2015). Can the sustainable development goals reduce the burden of nutrition-related non-communicable diseases without truly addressing major food system reforms? BMC Medicine, 13(1). doi:10.1186/s12916-015-0383-7 . Hawkes, C., Smith, T.G., Jewell, J., Wardle, J., Hammond, R.A., Friel, S. … Kain, J. (2015). Smart food policies for obesity prevention. The Lancet, 385(9985), pp. 2410–2421. doi:10.1016/S0140-6736(14)61745-1 . Roberto, C.A., Swinburn, B., Hawkes, C., Huang, T.T.K., Costa, S.A., Ashe, M. … Brownell, K.D. (2015). Patchy progress on obesity prevention: Emerging examples, entrenched barriers, and new thinking. The Lancet, 385(9985), pp. 2400–2409. doi:10.1016/S0140-6736(14)61744-X . Anand, S.S., Hawkes, C., De Souza, R.J., Mente, A., Dehghan, M., Nugent, R. … Popkin, B.M. (2015). Erratum: Food Consumption and its Impact on Cardiovascular Disease: Importance of Solutions Focused on the Globalized Food System: A Report From the Workshop Convened by the World Heart Federation (J Am Coll Cardiol (2015) 66 (1590-1614)). Journal of the American College of Cardiology, 66(17), p. 1948. doi:10.1016/j.jacc.2015.09.052 . Webster, J., Trieu, K., Dunford, E. and Hawkes, C. (2014). Target salt 2025: A global overview of national programs to encourage the food industry to reduce salt in foods. Nutrients, 6(8), pp. 3274–3287. doi:10.3390/nu6083274 . Hawkes, C., Ahern, A.L. and Jebb, S.A. (2014). A stakeholder analysis of the perceived outcomes of developing and implementing England's obesity strategy 2008-2011. BMC Public Health, 14(1). doi:10.1186/1471-2458-14-441 . Lloyd-Williams, F., Bromley, H., Orton, L., Hawkes, C., Taylor-Robinson, D., O'Flaherty, M. … Capewell, S. (2014). Smorgasbord or symphony? Assessing public health nutrition policies across 30 European countries using a novel framework. BMC Public Health, 14(1). doi:10.1186/1471-2458-14-1195 . Hawkes, C., Jewell, J. and Allen, K. (2013). A food policy package for healthy diets and the prevention of obesity and diet-related non-communicable diseases: The NOURISHING framework. Obesity Reviews, 14(S2), pp. 159–168. doi:10.1111/obr.12098 . Jebb, S.A., Aveyard, P.N. and Hawkes, C. (2013). The evolution of policy and actions to tackle obesity in England. Obesity Reviews, 14(S2), pp. 42–59. doi:10.1111/obr.12093 . Swinburn, B., Vandevijvere, S., Kraak, V., Sacks, G., Snowdon, W., Hawkes, C. … Walker, C. (2013). Monitoring and benchmarking government policies and actions to improve the healthiness of food environments: A proposed government healthy food environment policy index. Obesity Reviews, 14(S1), pp. 24–37. doi:10.1111/obr.12073 . Kelly, B., King, L., Baur, L., Rayner, M., Lobstein, T., Monteiro, C. … Walker, C. (2013). Monitoring food and non-alcoholic beverage promotions to children. Obesity Reviews, 14(S1), pp. 59–69. doi:10.1111/obr.12076 . Swinburn, B., Sacks, G., Vandevijvere, S., Kumanyika, S., Lobstein, T., Neal, B. … Walker, C. (2013). INFORMAS (International Network for Food and Obesity/non-communicable diseases Research, Monitoring and Action Support): Overview and key principles. Obesity Reviews, 14(S1), pp. 1–12. doi:10.1111/obr.12087 . Friel, S., Hattersley, L., Snowdon, W., Thow, A.M., Lobstein, T., Sanders, D. … Walker, C. (2013). Monitoring the impacts of trade agreements on food environments. Obesity Reviews, 14(S1), pp. 120–134. doi:10.1111/obr.12081 . Turner, R., Hawkes, C., Waage, J., Ferguson, E., Haseen, F., Homans, H. … Shankar, B. (2013). Agriculture for improved nutrition: The current research landscape. Food and Nutrition Bulletin, 34(4), pp. 369–377. doi:10.1177/156482651303400401 . Thow, A.M. and Hawkes, C. (2013). Global sugar guidelines: An opportunity to strengthen nutrition policy. Public Health Nutrition, 17(10), pp. 2151–2155. doi:10.1017/S1368980014001840 . Shankar, B. and Hawkes, C. (2013). India has a problem with palm oil: A substantial tax could be part of the solution. BMJ (Online), 347. doi:10.1136/bmj.f6065 . Hawkes, C., THOW, A.M., DOWNS, S., LING, A.L., GHOSH-JERATH, S., SNOWDON, W. … JEWELL, J.M. (2013). Identifying effective food systems solutions for nutrition and non-communicable diseases: examples from the fats supply chain. SCN News, 40, pp. 39–47. Hawkes, C. and Webster, J. (2012). National Approaches to Monitoring Population Salt Intake: A Trade-Off between Accuracy and Practicality? PLoS ONE, 7(10). doi:10.1371/journal.pone.0046727 . Igumbor, E.U., Sanders, D., Puoane, T.R., Tsolekile, L., Schwarz, C., Purdy, C. … Hawkes, C. (2012). "Big food," the consumer food environment, health, and the policy response in South Africa. PLoS Medicine, 9(7). doi:10.1371/journal.pmed.1001253 . Hawkes, C., Friel, S., Lobstein, T. and Lang, T. (2012). Linking agricultural policies with obesity and noncommunicable diseases: A new perspective for a globalising world. Food Policy, 37(3), pp. 343–353. doi:10.1016/j.foodpol.2012.02.011 . Hawkes, C. (2012). Food policies for healthy populations and healthy economies. BMJ (Online), 344(7857). doi:10.1136/bmj.e2801 . Clark, S.E., Hawkes, C., Murphy, S.M.E., Hansen-Kuhn, K.A. and Wallinga, D. (2012). Exporting obesity: US farm and trade policy and the transformation of the Mexican consumer food environment. International Journal of Occupational and Environmental Health, 18(1), pp. 53–65. doi:10.1179/1077352512Z.0000000007 . Hawkes, C. (2012). Food taxes: What type of evidence is available to inform policy development? Nutrition Bulletin, 37(1), pp. 51–56. doi:10.1111/j.1467-3010.2011.01949.x . Hawkes, C. and Harris, J.L. (2011). An analysis of the content of food industry pledges on marketing to children. Public Health Nutrition, 14(8), pp. 1403–1414. doi:10.1017/S1368980011000607 . Hawkes, C. and Buse, K. (2011). Public health sector and food industry interaction: It's time to clarify the term 'partnership' and be honest about underlying interests. European Journal of Public Health, 21(4), pp. 400–401. doi:10.1093/eurpub/ckr077 . Webster, J.L., Dunford, E.K., Hawkes, C. and Neal, B.C. (2011). Salt reduction initiatives around the world. Journal of Hypertension, 29(6), pp. 1043–1050. doi:10.1097/HJH.0b013e328345ed83 . Hawkes, C. and Lobstein, T. (2011). Regulating the commercial promotion of food to children: A survey of actions worldwide. International Journal of Pediatric Obesity, 6(2), pp. 83–94. doi:10.3109/17477166.2010.486836 . Lock, K., Smith, R.D., Dangour, A.D., Keogh-Brown, M., Pigatto, G., Hawkes, C. … Chalabi, Z. (2010). Health, agricultural, and economic effects of adoption of healthy diet recommendations. The Lancet, 376(9753), pp. 1699–1709. doi:10.1016/S0140-6736(10)61352-9 . Hawkes, C. (2010). Food packaging: The medium is the message. Public Health Nutrition, 13(2), pp. 297–299. doi:10.1017/S1368980009993168 . Hawkes, C. (2010). The Worldwide Battle Against Soft Drinks in Schools. American Journal of Preventive Medicine, 38(4), pp. 457–461. doi:10.1016/j.amepre.2010.01.011 . Ruel, M.T., Garrett, J.L., Hawkes, C. and Cohen, M.J. (2010). The food, fuel, and financial crises affect the urban and rural poor disproportionately: A review of the evidence. Journal of Nutrition, 140(1). doi:10.3945/jn.109.110791 . Thow, A.M. and Hawkes, C. (2009). The implications of trade liberalization for diet and health: A case study from Central America. Globalization and Health, 5. doi:10.1186/1744-8603-5-5 . Hawkes, C. (2009). Sales promotions and food consumptionnure. Nutrition Reviews, 67(6), pp. 333–342. doi:10.1111/j.1753-4887.2009.00206.x . Hawkes, C. (2009). Identifying innovative interventions to promote healthy eating using consumption-oriented food supply chain analysis. Journal of Hunger and Environmental Nutrition, 4(3-4), pp. 336–356. doi:10.1080/19320240903321243 . Hawkes, C. (2008). Dietary implications of supermarket development: A global perspective. Development Policy Review, 26(6), pp. 657–692. doi:10.1111/j.1467-7679.2008.00428.x . Hawkes, C. (2008). Agro-food industry growth and obesity in China: What role for regulating food advertising and promotion and nutrition labelling? Obesity Reviews, 9(SUPPL. 1), pp. 151–161. doi:10.1111/j.1467-789X.2007.00458.x . Hawkes, C. (2008). Regulating food marketing to young people worldwide: Trends and policy drivers (American Journal of Public Health (2007) 97, (1962-1973) DOI: 10.2105/AJPH.2006.101162). American Journal of Public Health, 98(3), p. 390. doi:10.2105/AJPH.2006.101162e . Hawkes, C. and Thow, A.M. (2008). Implications of the central america-dominican republic-free trade agreement for the nutrition transition in Central America. Revista Panamericana de Salud Publica/Pan American Journal of Public Health, 24(5), pp. 345–360. doi:10.1590/S1020-49892008001100007 . Hawkes, C., Ruel, M. and Babu, S. (2007). Agriculture and health: Overview, themes, and moving forward. Food and Nutrition Bulletin, 28(2 SUPPL.). Hawkes, C. (2007). Promoting Healthy Diets and Tackling Obesity and Diet-Related Chronic Diseases: What are the Agricultural Policy Levers? Food and Nutrition Bulletin, 28(2_suppl2). doi:10.1177/15648265070282s210 . Hawkes, C., Ruel, M. and Babu, S. (2007). Agriculture and Health: Overview, Themes, and Moving Forward. Food and Nutrition Bulletin, 28(2_suppl2). doi:10.1177/15648265070282s201 . Hawkes, C. (2007). Regulating and litigating in the public interest. Regulating food marketing to young people worldwide: Trends and policy drivers. American Journal of Public Health, 97(11), pp. 1962–1973. doi:10.2105/AJPH.2006.101162 . Hawkes, C. and Ruel, M. (2006). The links between agriculture and health: an intersectoral opportunity to improve the health and livelihoods of the poor. Bulletin of the World Health Organization, 84(12), pp. 984–990. doi:10.2471/BLT.05.025650 . Hawkes, C. (2006). Agricultural and food policy for cardiovascular health in Latin America. Prevention and Control, 2(3), pp. 137–147. doi:10.1016/j.precon.2007.04.002 . Hawkes, C. (2006). Uneven dietary development: Linking the policies and processes of globalization with the nutrition transition, obesity and diet-related chronic diseases. Globalization and Health, 2. doi:10.1186/1744-8603-2-4 . Rayner, G., Hawkes, C., Lang, T. and Bello, W. (2006). Trade liberalization and the diet transition: a public health response. Health promotion international, 21 Suppl 1, pp. 67–74. doi:10.1093/heapro/dal053 . Hawkes, C. (2005). The role of foreign direct investment in the nutrition transition. Public Health Nutrition, 8(4), pp. 357–365. doi:10.1079/PHN2004706 . Hawkes, C. (2005). Self-regulation of food advertising: What it can, could and cannot do to discourage unhealthy eating habits among children. Nutrition Bulletin, 30(4), pp. 374–382. doi:10.1111/j.1467-3010.2005.00526.x . Yach, D., Hawkes, C., Gould, C.L. and Hofman, K.J. (2004). The global burden of chronic diseases: Overcoming impediments to prevention and control. Journal of the American Medical Association, 291(21), pp. 2616–2622. doi:10.1001/jama.291.21.2616 . Yach, D., Hawkes, C., Epping-Jordan, J.E. and Galbraith, S. (2003). The World Health Organization's Framework Convention on Tobacco Control: Implications for Global Epidemics of Food-related Deaths and Disease. Journal of Public Health Policy, 24(3-4), pp. 274–290. doi:10.2307/3343374 . Hawkes, C., Jaime, P.C., Rugani, I.C. and Brasil, B.G. Lessons on leveraging agriculture for nutrition from the Brazilian school meal program. Revista de Saúde Pública. Parsons, K. and Hawkes, C. (2018). Connecting food systems for co-benefits: how can food systems combine diet-related health with environmental and economic policy goals? Denmark: WHO. Hawkes, C. and Fanzo, J. (2017). Nourishing the SDGs: Global Nutrition Report 2017. Bristol, UK: Development Initiatives Poverty Research Ltd.
Hawkes, C. and Watson, F. (2017). Incentives and disincentives for reducing sugar in manufactured foods: An exploratory supply chain analysis. Copenhagen. Hawkes, C. and Halliday, J. (2017). WHAT MAKES URBAN FOOD POLICY HAPPEN? Insights from five case studies. Brussels: International Panel of Experts on Sustainable Food Systems. Haddad, L., Hawkes, C., Waage, J., Webb, P., Godfray, C. and Toulmin, C. (2016). Food systems and diets: Facing the challenges of the 21st century. London, UK. London: Global Panel on Agriculture and Food Systems for Nutrition. ISBN 978-0-9956228-0-7. Hawkes, C. (2015). Enhancing Coherence between Trade Policy and Nutrition Action. Geneva: United Nations Standing Committee on Nutrition. Hawkes, C. (2015). Nutrition in the trade and food security nexus. Rome: Food and Agriculture Organization of the United Nations.